1. All goat entries, Market, Bred and Owned Market, and Junior & Open Commercial Breeding Does must be in place no later than 12:00 noon Fair Sunday. All goats must be washed and cleaned before they arrive at the fair. Health Certificates must be shown to committee member before any animals enter the barn. 2. The Goat Department reserves the right to dismiss any goat on the fairgrounds that has any communicable disease such as fungus, foot rot, sore mouth, ringworm or any others that are identified. The Goat Committee also reserves the right to call in a veterinarian of its choice to review any health decisions made by the committee. To be in compliance with the recommendations of the state veterinarian, all goats must be identified with an official scrapie program identification tag in their ear or an AGBA tattoo upon arrival at the fairgrounds. The official paperwork must also accompany the goat. Any goat not having the tag will be dismissed from the fairgrounds and sent home. 3. The Junior Goat Show is open only to Clarke County 4-H or FFA project members who have met all fair qualifier requirements. 5. Only water from a bucket may be used to hydrate any goats while at the fairgrounds. No tubes, hoses, or bottles may be used at any time. All market goats must be in possession and ownership of the exhibiting 4-H or FFA member and be on feed by the June weigh-in, year of the show. Goats must be weighed in and tagged at the official project weigh-in held the first Saturday in June, year of the show. Each exhibitor may weigh-in up to 5 goats at the official weigh-in in June; they may show 3 goats and sell 2 goats at the fair livestock sale. All 4-H and FFA entries must have been personally managed and cared for by the exhibitor making the entry. From time project starts, the member must have personally managed, cared for, and fed the project animal(s) he/she enters, except in the case of illness or other circumstances beyond the owner’s control and not covering a total period of more than 14 days. All exceptions shall be made by the Goat Committee. Entries are accepted in good faith that feeding, management, and care of the animals have been conducted as part of 4-H or FFA projects by the exhibitor. 4-H and FFA goat livestock exhibits are only to be shown by the exhibitor. 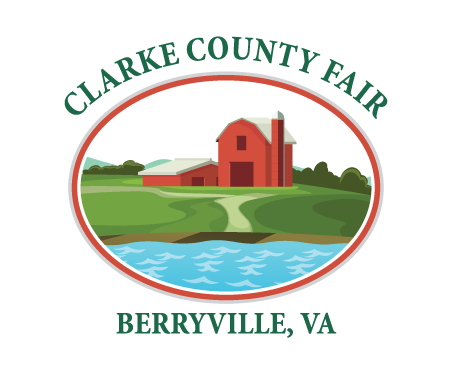 If a 4-H or FFA livestock exhibitor has two (2) or more goats in the same class, only another 4-H or FFA livestock exhibitor showing the same species in the current year at the Clarke County Fair may show one of them. 11. If Goats are not housed on property owned or rented by immediate family then the exhibitor must notify the Livestock Committee in writing of the location of the animal and why it is housed there, and receive committee approval. If the animal is moved at any time during the fair project, the Livestock Committee must be notified immediately. All entries are subject to on-farm inspections to verify entry information. All exhibitors agree to accommodate such inspections. To recognize goat buyers, $6.00 may be retained from the proceeds of each goat sold to purchase a newspaper advertisement and recognition banner. All buck goats must be castrated (removal of testicles) by the initial project weigh-in. Any evidence of testicular tissue will be evaluated and up to the discretion of the goat committee. Both wethers (neutered males) and doe goats may be shown in the market goat classes. All goats must be dehorned or have the horn tips blunted. This is a safety issue and will be enforced. Please see one of the Goat chairmen if there are any issues. All goats must be shown wearing a collar or a halter. No pinch collars are allowed. The fitting and show preparation area is confined to the wash rack, the goat barn and other designated areas surrounding the goat barn. These areas will be designated at the Sunday exhibitor meeting. The market goats will be divided into classes by weight, not breed. All breeds will be shown together. For a goat to be considered a meat goat at the Clarke County Fair, the goat must be full blood or a cross containing any of the following breeds: Boer, Kiko, Myotonic/ Tennessee Fainting Goat, Spanish, or Brush; Full blood dairy (ex: Nubian and all Swiss breeds); fiber (ex: angora/cashmere) or dwarf/pygmy goats or any crosses of these type goats that do not contain a % of the meat goats listed above will not qualify. The Goat Committee and Junior Exhibitors will set-up pens on Thursday, August 8 at 6:30p.m. and will meet again on Sunday, August 18 at 9:00 a.m. to take down goat pens. Before exhibitors in barn area leave the grounds at the conclusion of the Fair, they must clean their pens. Youth exhibitor must be present at show and sale in order to sell an animal. If the exhibitor and/or animal are not present at the start of their show or their time at the livestock sale; neither will be allowed to participate in that event. Any exception must be approved by the goat committee chairman. The Grand Champion and Reserve Grand Champion of the Junior Market Goat Show and Bred and Owned Show must sell in the junior livestock sale. Bred and owned market goat exhibitors must own and care for the mother during gestation of the bred and owned market goat prior to breeding. Bred and owned market goat exhibitors must take and complete the breeding goat project. Youth exhibitors cannot show the same goat in the bred and owned market goat class and the general market goat classes. Youth must designate at June weigh-in which goat(s) are to be in the market goat class and which goat(s) are to be in the bred and owned market goat class. Monday, August 12, 3:00 P.M.
A Group will consist of any four animals of the same breed that have been shown in a previous class of the show. An exhibitor is limited to two group entries. A doe and kid entry will consist of a doe and her kid of the same breed that have been shown in a previous class of the show. Entry Forms and fees will be due on July 31st either via internet entry or a form will be sent via mail if requested by exhibitor no later than July 15th. A fee of $3 per head will be charged for the open show. The Junior & Open Commercial Doe Show is open to all Clarke County Residents. Exhibitor must carry a breeding project book to be eligible for Junior Ribbons and Premiums. The project book must have scrapie tag entries when being checked by advisors in June of year of show. This book must be up to date and available upon request. All goats must remain in the goat barn until 4 pm on August 17th unless being removed to another fair. Permission from the goat chairman must be obtained early in the week. Entries cannot be shown in a market class. There is a limit of 4 does per exhibitor. Pen availability is limited, the livestock committee has the right to reduce the amount of entries is needed. All entries must be identified by their scrapie tag number upon entry to the fair grounds. Any commercial does must be in possession of the exhibitor by June 1st of the year of the show. Monday, August 12, 4:30 P.M. In Memory of Ralph Burner, Patsy Burner will present an award to the exhibitor of the Grand Champion of the Market Goat Show. In Memory of Buck and Dorothy Orndorff, the Orndorff Family will present an award to the exhibitor of the Reserve Grand Champion of the Market Goat Show. This award is sponsored by the Morris family in memory of Rand T. Morris. Mr. Morris became involved with the 4H and FFA programs through the interest of his grandchildren. He quickly learned that these programs taught some of the key character traits that he found to be highly valuable-hard work and respect, not only for others but also for one’s self. Mr. Morris loved the amount of pride that youth took in their project areas and could frequently be seen ring-side sporting a smile. In memory of Ralph Burner, Holly Brook Farm (Mike, Laurel and Madison) will present an award to the exhibitor of the Reserve Grand Champion Commercial Doe Show. This award will go to a 4-H/FFA member who does the best job caring for and preparing his/her animal throughout the week. Factors to be considered are neatness of stable area, cleanliness of animal at all times, care of equipment, personal appearance, and conduct, and spirit of cooperation. The award is given in memory of Kathy Jenkins by Jim and Jamie Jenkins. In memory of Mr. Floyd Hoff and Mr. Jock Hoff, a banner will be presented to the exhibitor of the Reserve Grand Champion Market Goat by an anonymous donor. 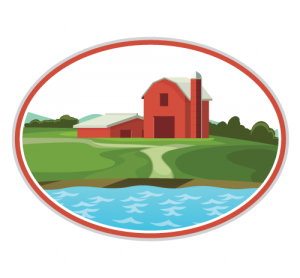 Circle B Farm, (Burner Family, Deanie, Missy, Tara & Russell) will present awards to the exhibitor of the Champion and Reserve Champion Bred and Owned Market Goats of the Junior Show.